In your search for the perfect romantic trip, are you considering the all-inclusive Azul Beach Resort Riviera Maya in Mexico? 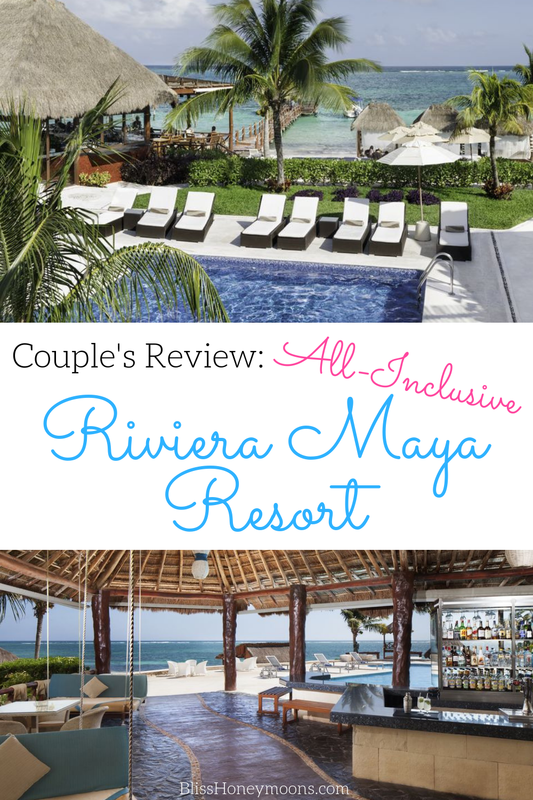 Check it out: this real couple gives their Azul Beach Resort Riviera Maya review of their fantastic trip planned by Bliss Honeymoons! With the gourmet restaurants, a boutique-style property, all facing the Mexican Caribbean sea, this might be the right resort for you. What was your favorite thing about this trip? Was there a meal or a staff member that made the trip really memorable? All of the food was simply amazing. We don’t go out to eat often because we’re constantly disappointed. That was certainly not the case at this resort. Were there any issues that came up during your trip that we should be aware of? Is there any feedback you would like us to pass along to the hotel or resort? We had major issues with our flight home and had to spend an extra night in Florida…but that’s out of your control. On a scale of 1 to 10, how would you rate the overall service you received from your agent? What was your goal in hiring a travel consultant with your trip? Did we help you reach that goal? I believe my cousin and his fiance hired you, not I. Was this your first experience working with a travel agency? If so, are you likely to engage our services again? Yes, and yes. How Likely Are You To Recommend Bliss Honeymoons To A Friend? Maybe. It depends on the type of trip. Some couples have such a great time on their honeymoon that they decide to return on their anniversary. Would you like your agent to look into return trip promos for you? Maybe. If you find something good please let us know!